The Trundholm sun chariot. 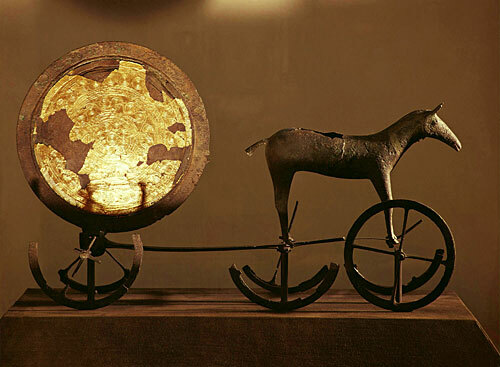 The chariot pulling the sun is a common Indo-European mythological motif. 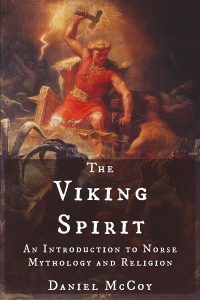 Since I reference the Indo-Europeans and Proto-Indo-Europeans in several articles on this site, I figured it would be helpful to provide a brief overview of who these people were and why they matter, both in general and in the specific context of understanding the pre-Christian mythology and religion of the Norse and other Germanic peoples. The Proto-Indo-Europeans were pastoralists whose economy centered around raising a few species of livestock. As such, they were semi-nomadic, journeying long distances to find new pastures in which their animals could graze. Like most, if not all, pastoralist peoples throughout history, they were patriarchal and fiercely warlike; those new pastures they’d have to find every so often were usually occupied by others, and the newcomers would have to conquer, kill, or drive off the land’s earlier inhabitants in order to use their fields. However, the Proto-Indo-Europeans had two particular military advantages over their neighbors: the domesticated horse and the wheel. All other things being equal, warriors on foot just don’t stand a chance against warriors who are mounted on horseback or riding in chariots. Thus equipped, the Proto-Indo-Europeans spread out over much of Eurasia in the following centuries. Wherever they went – virtually all of Europe, the Indian subcontinent, and many of the lands in between – they conquered and assimilated the local populations. While the customs, languages, and worldviews of the pre-Indo-European populations certainly exerted an influence on the hybrid societies that formed after this conquest, the basic template of these societies was solidly Indo-European. As this underlying structure changed over time in its various new environments – with regard to language, religion, class systems, etc. 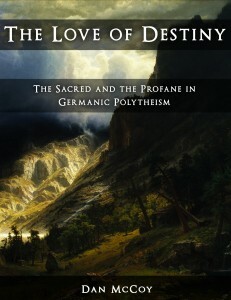 – the societies that we today would recognize as the Celts, the Greeks, the Romans, the Slavs, the Indians (of India, of course), and, yes, the Germanic peoples, arose. These societies are all referred to as “Indo-European” because they’re all descended from Proto-Indo-European society. Why Do the Indo-Europeans Matter? We’ll approach this question from two different angles: first, why does the comparative study of the Indo-European world matter for the study of Germanic mythology and religion? And second, why is the study of the Indo-European world relevant to our lives today? As for the first question, the primary sources of our current knowledge of the worldview and ways of life of the pre-Christian Germanic peoples are sparse, fragmentary, and often cryptic. It’s impossible to form any kind of comprehensive picture of heathen Germanic religion from a face-value consideration of the sources alone. Various interpretive and comparative strategies are necessary. The Norse god Tyr is a relatively obscure figure in the Old Norse literary sources. However, based on linguistic evidence, we can trace him back to the highest god of the Indo-European pantheon, *Dyeus, and thereby we can tentatively reconstruct various aspects of his personality and role within the divine hierarchy. Mythology is one such “sphere of cultural ideology and behavior.” In Norse mythology, Tyr and Odin exemplify the two distinct facets of the first function, with Tyr being the benevolent king or judge who rules by law and Odin being the “Terrible Sovereign” who rules by magical power. Thor, the indefatigable defender of Asgard, exemplifies the second function, although he also had agricultural associations that link him to third function. (Again, the correspondence is striking, but far from perfect.) The third function is represented by Freyr more than any other deity. Thus, it’s surely no coincidence that in eleventh-century German historian Adam of Bremen’s description of the heathen temple he visited in Uppsala, Sweden, the “idols” he mentioned as occupying the central position were three imposing depictions of Odin, Thor, and Freyr – all three functions – side by side. Those are just two examples among many, but they should suffice to illustrate the point that Germanic mythology makes a lot more sense when considered in its Indo-European context than it does purely on its own. With regard to the second question – why is the study of the Indo-Europeans relevant to our lives today? – I would give two answers. The first is that the world wouldn’t be what it is today had it not been for the Indo-Europeans. 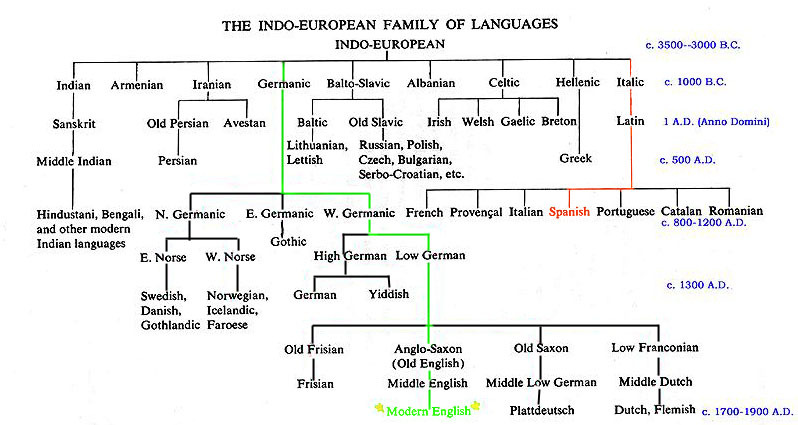 If you’re reading this article, chances are that your first language is an Indo-European language, and it’s also very likely that all of the languages you speak are Indo-European languages. Given how powerfully language shapes the range of thoughts available for us to think, this fact exerts no small influence on our outlook on life and therefore, by extension, on our actions. Vestiges of the tri-functional hierarchy are still present in our societies; at least in theory, governments have more power than the police and military, who in turn have more power than the rest of the “civilian” population. More specific examples could also be readily furnished. For example, Christianity couldn’t have existed without the Persian prophet Zoroaster/Zarathustra first articulating the idea of a dualistic, moral good and evil, and even though Zoroaster’s philosophy and religion, Zoroastrianism, was in many respects a radical departure from earlier Indo-European thinking, he nevertheless used his Indo-European heritage as so many building blocks from which to craft his own vision. My second answer to the question of why Indo-European studies is relevant is that, as powerfully as it’s influenced our modern social structure and thought, there are also many ways in which the Indo-European worldview is strikingly different from our own. Studying it enables you to have that many more perspectives to draw from in creating your own worldview. Anthony, David W. 2007. The Horse, the Wheel, and Language: How Bronze Age Riders from the Eurasian Steppes Shaped the Modern World. Mallory, J.P., and D.Q. Adams. 2006. The Oxford Introduction to Proto-Indo-European and the Proto-Indo-European World. p. 408-409. Mallory, J.P. 1991. In Search of the Indo-Europeans: Language, Archaeology and Myth. p. 271. Winn, Shan M. M. 1995. Heaven, Heroes, and Happiness: The Indo-European Roots of Western Ideology.